Buying a bikini can be stressful, especially if you are not a standard size or a consistent size on top and bottom. I love my red ASOS bikini but it needs just a few tweaks to be perfect. Luckily Surania have come to the rescue with their custom bikini maker where you can choose the style and fabric you want and then choose your size to get a perfectly fitting bikini or swimsuit. I'll be honest, I had never heard of them before they got in contact but as soon as I saw their offering, I fell in love and have been raving about it to anyone and everyone ever since. When I ordered mine, I had a lot of fun going through the different fabrics and styles, finally opting for the balconette top and high waisted bottoms. The whole process is pretty easy and best of all is super fun, I could (and did) spend hours on here trying to decide what to go for! I like the fact that there are lots of different shapes to choose from, I prefer quite a retro look but I imagine that there is something to suit pretty much everyone's taste. 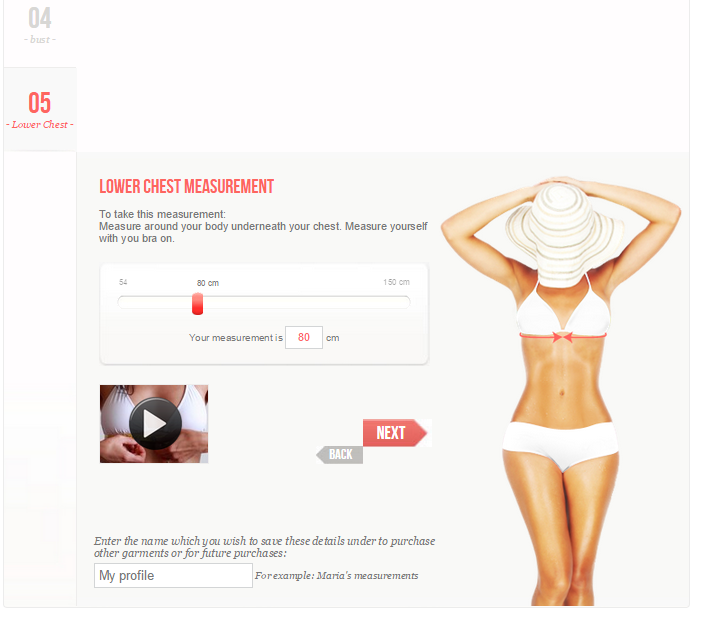 The best part though is that fact that you can enter your own measurements and have something that you know will fit you like a glove. For instance, I have an 8 inch difference between my waist and hips which usually means that clothes fit one but not the other but this arrived and it fits perfectly! The regular sizing goes up to 90-93 cm but the custom sizing allows bust, waist, and hips from 70cm up to 200cm. Still not every size but a hell of a lot more inclusive than your average swimsuit shop! It came pretty quickly once I had ordered it (I think it was with me in about a week and a half, two weeks) which considering that they are making it from scratch, is pretty impressive! I was a little dubious about what it would look like but I couldn't have been happier. The material is sturdy and it feels like a really high quality product. I just love the little ruffle on the top- isn't it the cutest?! Honestly, I felt like a million dollars in this, it fits me perfectly and that gave me all the extra confidence I needed to put a real spring in my step. The print is awesome and paired with the shape I felt like a 1950s pin up, never a bad thing in my opinion! Body confidence is a strange thing and although I hardly have an unusual shaped body, I hated it when I was growing up. It all came to a head for me when I saw a family of photo of me, on holiday when I must have been about 15 and I am hiding behind everyone else because I hated how I looked in a bikini. Fast forward ten years and although there are always things I would like to change (like the scars on my tummy from my cannulas) this body of mine is pretty darned awesome. It has been through a lot over the years and this photo of me just brought home how far I have come, no more hiding behind anyone else but revelling in how good I look and feel in a bikini and spending a day just enjoying myself. These photos aren't the best quality as it was so bright but trust me when I say that I will always love them because I look and feel so alive and isn't that what summer is all about?! P.S. I was sent a voucher to order a bikini to review but if I didn't love it, I wouldn't feature it! What a gorgeous bikini, it looks fab on you (50s pin up is right!)! Brilliant idea too. I think most of us really struggle to find a bikini that fits properly all over (after all, we come in all shapes & sizes!) so this tailored service is such an obvious thing to do. Yay Surania! I think you look totally amazing and I'm self conscious in a bikini too but maybe it's because i've not found the right one! This custom made bikini is such a cool idea! I love love your design and you look a million dollars Maria!